“Alita: Battle Angel” short-circuits in delivering a well-written story. Director of the outlandish “Spy Kids” and pulp noir “Sin City” franchises, Robert Rodriguez helms a new CGI-laden and action-packed film that seems on-brand for him. Based on a titular ‘90s manga, “Alita: Battle Angel” stars a female cyborg with powers strong enough to take down indestructible forces, a heart passionate enough to defend loved ones, and eyes big enough to belong in a Margaret Keane painting. The sci-fi flick opens with promising expectations, displaying a post-apocalyptic, cyberpunk world that begs to be marveled at. However, the jaw-dropping spectacle is unfortunately paired with a dull and clunky narrative, leaving the movie unmemorable and uninspiring. In the year 2563, cyborg-scientist Dr. Dyson Ido (Christoph Waltz) is scavenging through a junkyard when he stumbles upon a disembodied cyborg. Taking the discarded bionic back to his lab, he repairs and revitalizes her, but upon regaining consciousness, she can’t recollect any of her memories. So, Dr. Ido endows her the name Alita (Rosa Salazar) and tours her through her new home, the futuristic and gritty metropolis of Iron City. With a serious case of amnesia, Alita acts as a blank slate, which conveniently helps the audience explore the cinematic universe. However, this also becomes an easy ticket for the exposition to be explained in a rough and bulky way which, in turn, makes the dialogue of the film undynamic and (ironically) robotic. The beginning of the film is reduced to a series of question-and-answer conversations so that Alita can be introduced to Hunter-Warriors, Motor-Ball, and the elite sky city of Zalem — all topics that unnecessarily extend into their own subplots. The remainder of the film is filled with several hackneyed lines that attempt to verbally flaunt Alita’s “badassery,” such as “she has the face of an angel and a body built for battle,” which feels more creepily objectifying than empowering. The flawed script doesn’t seem to focus on building a copacetic story for these characters. Instead, it’s a messy information dump, trying to set up the origins for yet another cash-grabbing franchise. The poorly written lines also create bland character interactions, especially between the scruffy bad-boy Hugo (Keean Johnson) and Alita, as a fanfiction-like romance quickly brews among the teen lovers. Though Hugo does become a main driving force for the conflict of the movie, his personality is as stiff as a machine’s, turning their “emotional” exchanges lukewarm and generic. The movie lingers a little too long on this irrelevant young adult affair, so this subplot is trifling, juvenile, and unbelievable in terms of a heartfelt relationship. Speaking of one-dimensional characters, there are multiple villains in the film who are cartoonishly vile, save for Dr. Chiren (Jennifer Connelly), who should’ve received more screen time. The plot grows a bit convoluted as we attempt to dissect why some of these secondary adversaries are unjustifiably hostile to our heroine. Mahershala Ali is also criminally underused as the wicked big-bad of the film. His character doesn’t develop much of an individualistic arc or fleshed-out backstory. Instead, he’s merely used as a collateral pawn for the film’s pre-planned installment of a larger and more evil “boss” nemesis. With so many antagonists, Alita is forced to engage in many brawls. However, these kinetic and crisp fight scenes should be singled out as one of the film’s saving graces. The combat performances are heavily dominated by CGI, but they’re creatively choreographed. Watching Alita come to full fruition with her killer instincts and expert martial arts is gratifying, making us recognize that she is one formidable and deadly opponent with unparalleled athleticism. Despite the blemishes in the story-telling, the movie’s visual world-building is stunning. The high-tech gizmos paired with the low-life denizens of Iron City create a progressive yet rustic environment. Cyberpunk itself is a stylish, distinctive subgenre, so “Alita” feels akin to ‘80s classics like “Blade Runner” or “Akira.” Crossing into the lively urban landscape, “Alita” ushers the audience through its streets, crowded with bustling vendors, rascals, and busybodies by day, as well as astir with rowdy bars, bleak alleyways, and dangerous personalities by night. Not to mention, the premier megalopolis of Zalem, hovering directly above Iron City, is captivating yet intimidating; it sparks curiosity as we begin to wonder what type of upscale life hangs there. All in all, another silver lining of the film is its wonderfully animated aesthetics. 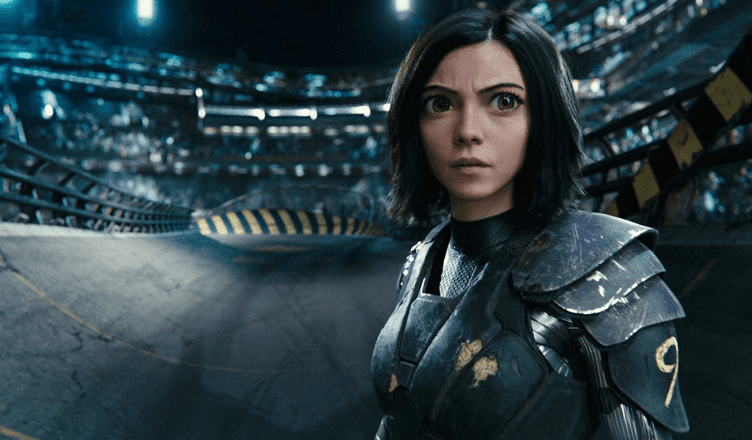 Although “Alita: Battle Angel” contains striking visual effects, it doesn’t mitigate its run-of-the-mill narrative and depthless characters. The blockbuster had the potential to be a great standalone sci-fi fantasy, but it felt rushed and incomplete in an obvious attempt to set up future sequels. It would be a wasted opportunity if the next follow-up movie malfunctions and turns out as wonky as this one. Do not believe this BS review. Alita is great movie with rich world, great action and very charismatic heroine. Dialogs are cheesy sometime, but it does not rely hurt the story. And you can’t show Alita’s story in two hours without cliffhanger. Frodo also destroyed the ring only in 3rd film. Comparing this movie to The Lord of the Rings and Frodo’s journey is a tad bit unsubstantiated. The author and you seem to agree that these worlds are rich, but the comparison dies around there. Frodo may have finally destroyed the ring in the third film, but that doesn’t mean we had two films with meaningless characters and a world spoon fed to us beforehand. I hope the next Alita’s films, because we know James Cameron isn’t done grabbing cash, are better but I think this review perfectly sums up the failures of the first film.